Stone Creek RV Park is conveniently located just north of San Antonio and minutes away from New Braunfels. You'll never run out of things to see and do! Check out the many area attractions listed on this page and have fun. 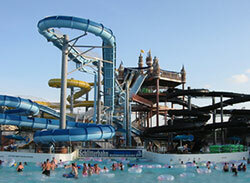 Schlitterbahn Waterpark Resort in New Braunfels has over 3 miles of tubing adventures, 7 children's water playgrounds,17 water slides, the world's first surfing machine, and 3 uphill water coasters spread over 65 acres of fun! Retama Park is open for simulcasting daily. 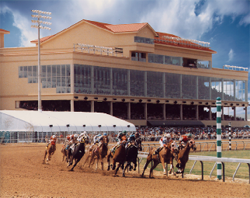 Gates open at 10:30 a.m. Simulcast admission is $2.00, with free parking except for Triple Crown Days, Breeders' Cup Day and special event days. Wow! Did you see that! 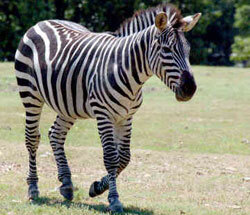 Zoo staff, docents, teens, and interns present exciting educational encounters every day. They're fun and informative! Our goal is to provide guests with recreation and the opportunity to observe and learn about the Zoo's unique and interesting animals. These encounters change daily, so come back soon to see what new is going on at the Zoo! We hope your encounter is as much fun to you as it is to us. 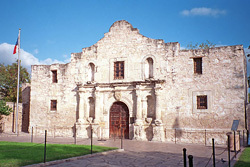 Originally named Mission San Antonio de Valero, the Alamo served as home to missionaries and their Indian converts for nearly seventy years. Construction began on the present site in 1724. In 1793, Spanish officials secularized San Antonio's five missions and distributed their lands to remaining Indian residents. © 2017 Stone Creek RV Park. All Rights Reserved.